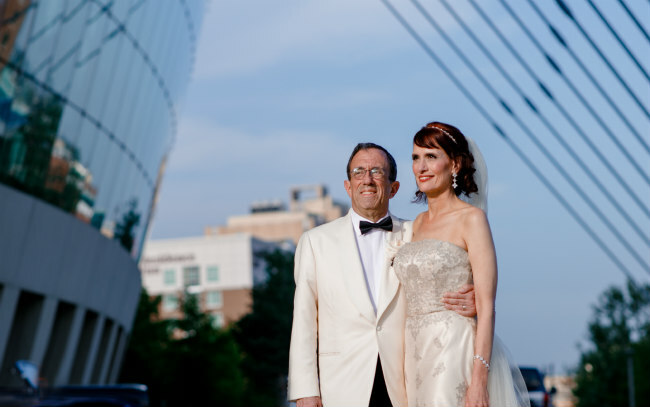 Philanthropy and community have always been important to UMKC Chemistry Department Chair Kathleen Kilway so when she recently got married to Marshall Miller, it was a no-brainer to have guests donate to charity instead purchasing gifts. Kilway says that she and Marshall first had the idea of charity when talking to other UMKC faculty, such as Joan McDowd, Diane Filion and Theodore White, who also had guests of their celebrations make philanthropic donations. Giving back to people is a passion for both Kathleen and Marshall. Marshall, a UMKC alum (’67, History), has been very involved in the Kansas City Art Institute’s Art of the Car event to fund KCAI scholarships. These interests helped them decide where they wanted guests to donate. As a member of UMKC’s faculty since 1996, Kathleen said that it was easy to decide to designate UMKC as her charity. She has previously established the James and Neoma Kilway Scholarship in honor of her parents to help students pursing their degrees in Chemistry. Education is invaluable in today’s society, she believes. If you would like to make a donation in honor of Kathleen and Marshall, please visit this website. At the bottom of the page, you can choose to make a gift in honor or in memory of someone, check “Honor of” and type “Kilway/Marshall Wedding” in the name box.